Fifteen years ago, I was switch-hitting between writing short stories and writing and performing solo shows. I fell in love with the novels of Willa Cather and decided to develop a one-woman show in which I would become Willa Cather in the way that Hal Holbrook had become Mark Twain. This was not to be. When I attended the annual Willa Cather Conference in Red Cloud, Nebraska, and read Willa's letters in the archives there, I discovered that she possessed a degree of self-certainty (some would call it arrogance) that I simply couldn't embody. But what could I do? I had already agreed to present a Willa Cather theatre piece three months hence. Under pressure, I wrote a four-character solo show based on my experiences in Red Cloud. 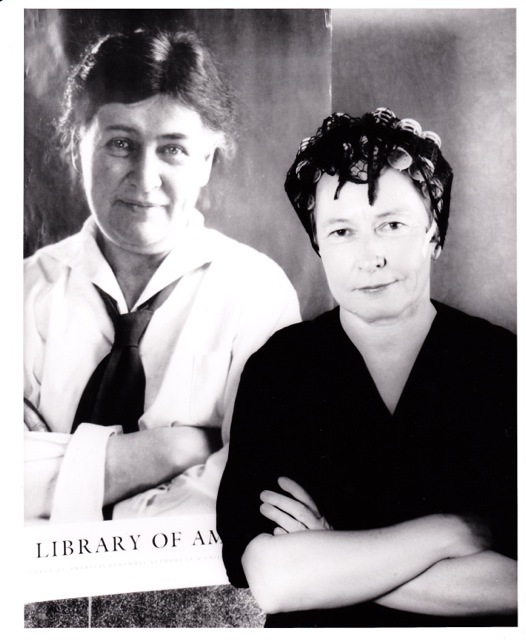 I performed the show in San Francisco--see poster above with Willa Cather standing over me as I personify Effie, the no-nonsense hairdresser I stayed with for the Cather conference. Encouraged by positive responses to the show, I wrote a short story based on the script and submitted it to Carve Magazine. It was accepted for publication, and later that year, it was chosen for Best of Carve Magazine Volume Four. Rhubarb Pie, a collection of my short stories, was published in 2005. "Pink Rods, Red Clouds, and a Rhubarb Pie" is the lead story and the one readers most often report as their favorite.